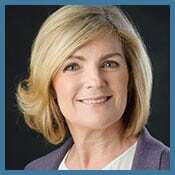 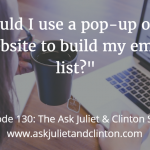 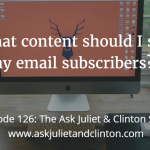 Episode 130: Should I use a pop-up on my website to build my email list?  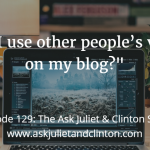 Episode 129: Can I use other people’s videos on my blog? 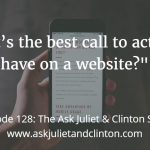 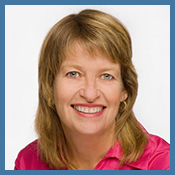 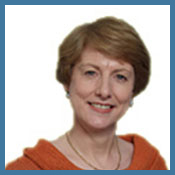 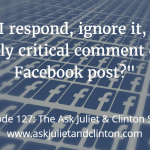 Episode 128: What’s the best call to action to have on a website? 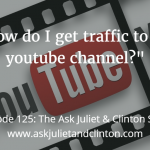 Episode 125: How do I get traffic to my YouTube channel?